​Fitting you and your children for over 70 years. Being a 3rd generation, family-owned and operated business, we’re able to offer you that personal touch you’ve been looking for. 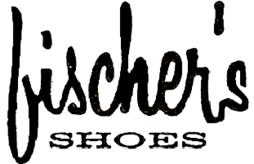 At Fischer's Shoes, we really care about the products we sell, and we’d like to share our most important services and products with you.